Does this mean I can have wine in class? Rosé? Yes. If you don’t know what this beverage is, let me introduce you to one of the trendiest wines being sipped in poolside chairs in the Hamptons, Michelin star restaurants and (possibly) your own college dorm room. Rosé is a type of wine made from red grapes that is typically produced in France or California. If you ever see several different brand rosé bottles lined up next to each other, you'll notice a spectrum of pink shades. What produces the shades is the wines' varying soaking durations in red grape skins. Lately, the rosé wine trend has been on the rise, which isn't surprising considering it's aesthetic charm and its representation as a symbol of luxury. For example, Yes Way Rosé is a “lifestyle brand that captures the lighthearted spirit of rosé wine.” This company sells towels, tote bags, apparel, and other goods bearing this clever tagline. 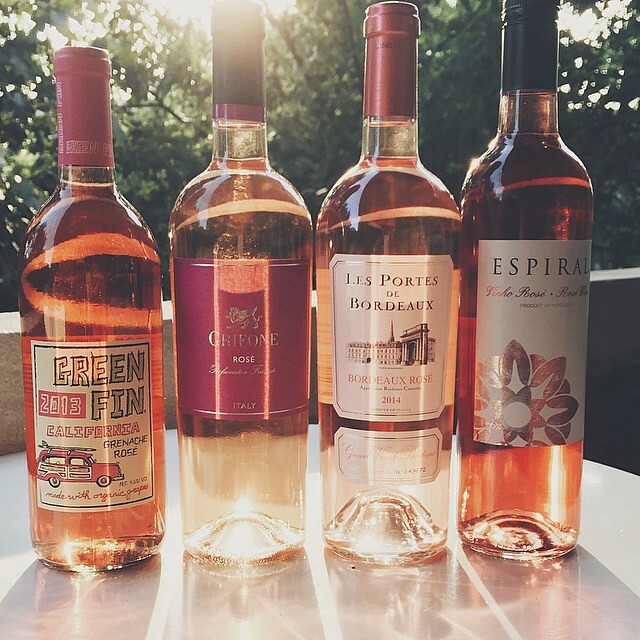 In just three years, it has popularized rosé wine on Instagram by portraying rosé as an necessity for an blissful summer day. Dessert and drink companies have been quick to brand their own rosé-flavored delicacies. Why is this particular wine making big headlines everywhere? Perhaps red and white wine aren't able to meet popular demand for novelty, but a blend of their two colors has been managed to draw attention like bees to honey. Note: Rosé is not a blend of red and white wine. Compartes, a gourmet chocolatier based in Los Angeles, is well-known for its unique flavors and triangle shaped pieces of chocolate bars. Their Rosé Chocolate Bar was released just this past August. It’s infused with rosé wine, tinted a gorgeous pink color and even contains crystallized rose petals. Prior to their release, there were over 18,000 people on the waitlist to order Sugarfina’s Rosé All Day gummy bears. A twist on a originally innocent candy, these bears now bear an unofficial status as alcoholic gummies. Sugarfina describes them as "non-alcoholic but rosé wine-infused." Take what you will of that. These candies are a translucent rose color and after having tried some, I can definitely say that rosé gummy bears have become my new spirit animal. Even though summer is far away, sunny Palo Alto’s (forty to) fifty to sixty degree Decembers chase away any real dangers of winter reaching Stanford’s campus. So it’s perfectly fine to have yourself a merry little bowl of rosé sorbet. Even if you don’t live in a temperate region, go ahead and brace yourself for the chill, and blend up some frosé for your friends and family! I have yet to find a place that sells this flavor of slushie, but several simple and nifty DIY recipes are only a Google search away. This particular one comes from the Instagram account roseseason, which you should take a peek at for more rosé inspiration. Was all that talk of tangy sweets making you crave something rich and fluffy? Well, I’ve got you covered. Delish, a website containing many wonderful recipes, has a DIY recipe for rosé wine cake. And if you're in the mood for cupcakes, divide up your batter and try garnishing your rosé cupcakes with raspberry buttercream frosting! Last but not least, if it's meal you're fancying rather than dessert, it’s still possible to have rosé somewhere on your plate. Think grilled brie and jam sandwiches, cheese, jam and crackers, or toast with rosé jam! The options are endless. If you're bored of the typical (but beloved) glass of rosé wine, it is worth trying these novelty desserts out!